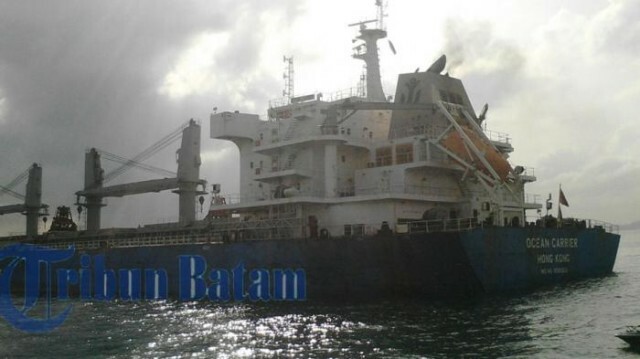 The 190 meter long, 56853 dwt bulk carrier Ocean Carrier ran aground in the Sinapore Strait near Pulau Pemping, Indonesia. The Ocean Carrier was en route to Yangjiang with iron ore when it veered out of the fairway and went aground to avoid colliding with another vessel. No reports of injuries or pollution released.